TONO Group is comprised of a family of companies including RELO Real Estate, RETRO Development, TONO Architects, PROTO Construction, and Interiors by DECO. 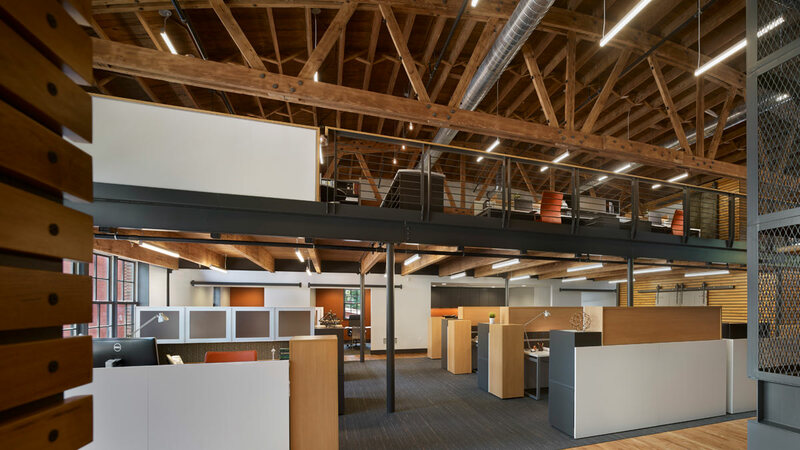 Spanning the full range of industries needed to transform the built environment, the company moved and expanded its headquarters—which have been in Lancaster, Pennsylvania, since 2001. The ambitious $2.3 million investment in downtown Lancaster was a self-developed adaptive re-use project. It included retrofitting an existing, but blighted, building, adding TONO Group’s offices, and including Luca—an Italian wood-burning restaurant and bar. Once used as a grocery store and dry goods warehouse called Lestz & Co., the urban infill project brought food and a neighborhood vibrancy back in a new way. Located at the intersection of West James Street and Lancaster Avenue, 436 West James Street (built in 1944) sits as a beacon of downtown Lancaster’s northwest residential neighborhood. The approach was to create an open and uniform language across both street fronts through simple, articulate gestures. Retaining walls were installed to create ADA accessible entrances to both the main and lower level spaces. The Lancaster Avenue façade went through a physical transformation as existing window openings were expanded to take advantage of natural daylight and to distinguish a prominent point of entry for the TONO Group offices. The existing brick façade remained—echoing the fabric of the residential neighborhood and nodding to the building’s industrial past. To separate the TONO Group offices from the restaurant, the building’s taller corner mass became the visible anchor—helping both restaurant patrons and professional clients correctly navigate separate entrances. Entrances were defined with open, articulated pergola structures, built from red cedar and steel. Each board-to-board connection was conveyed with a steel connection plate generating an emphasis on craftsmanship and detail. While the existing infrastructure existed as a completely impervious lot, methods were taken to create rain gardens that capture the water and reduce storm water run-off which overwhelms the city’s combined storm water and sanitary sewer system. Combining industrialized appeal with modern elements created a unique juxtaposition of the two languages. The interior exposes the existing bowstring trusses that were hidden by a previously added storage attic. The original maple floors were sanded and refinished. The framing of the storage attic was removed and reused as a large majority of the interior wall framing throughout the space, thus eliminating it from the waste stream. Further emphasizing building structure, exposed steel and timber mezzanines were constructed to create second level office space and a private seating area for patrons in the restaurant. TONO Group’s offices and the building at 436 West James Street integrates advancement in design on two fronts. First, it is the physical manifestation of our firm’s approach to completing a self-performing firm in which we develop, design, build, and furnish our projects. (Including the work of RETRO Development, TONO Architects, PROTO Construction, and Interiors by DECO.) 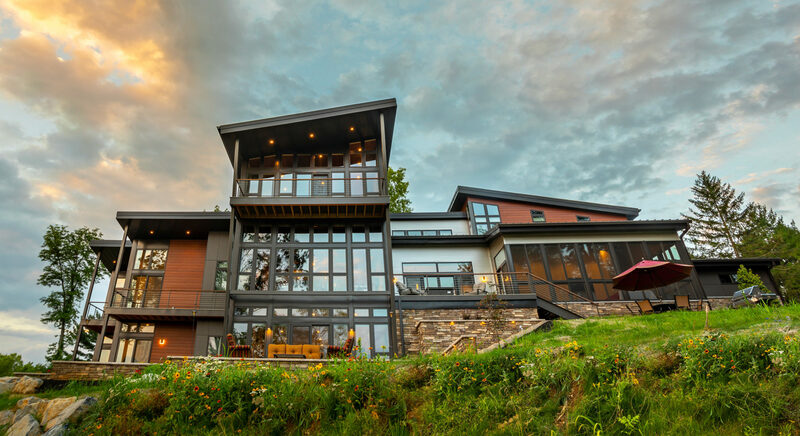 By taking responsibility to ensure the architect is at the forefront of the construction process, the project’s integrity is maintained throughout—thereby creating meaningful places. Secondly, 436 West James Street employs advancement in design through technology, instituting a building automation system which controls mechanical, electrical, audio/visual, and security systems. It provides integrated control, monitoring, ease of use, and is a sustainable approach through reduced energy consumption. Its key components consist of daylight monitoring to adjust window shades and lighting levels, remote temperature sensors for even, accurate distribution of conditioned air, system flexibility with complete control on an individual light fixture level, as well as a single point of use or the ability to access on any mobile device. The interior design focused on the simplicity of materials, the exposure of the building’s structural elements, and the contrast between the rough industrial aesthetic and the modern contemporary infill. Attention to detail was a precedent focusing on color, texture, and the connection between materials.